Hey there! Thanks for dropping by Integrating Dark and Light: Remembering Evolution! Take a look around and grab the RSS feed to stay updated. See you around! Wade Frazier’s Disclaimer [which I am in agreement with]: I am a layman, and do not give medical advice. Please do not take my word, or anybody else’s, regarding your health. Take responsibility for your health, and do not give it to “experts” or anybody else. Your life is your life, and giving the responsibility for your health to others is a dangerous path. Talk to your doctor, read this essay, research the areas presented here if you feel so inclined, but in the end, please make your own decisions. Doctors only know what they are taught, and if they are taught incorrectly, their advice can be less than helpful, and their treatments can kill you. Please do nothing simply because an “expert” or other authority figure tells you to. FDA-Required Disclaimer: Despite the First Amendment, the FDA would prosecute me for expressing my opinion about their criminal harm to public health unless I make the following statements up front: This page is educational in nature and makes no claims to diagnose, prevent, treat or cure any disease. All opinions, statements and presentation of facts on this page are my own or those of the people quoted; quotes may have been taken out of context. You should verify this information through your own research. If you have any health condition, seek the advice of doctors or healthcare practitioners of your choice, and always remember, their advice is just that, advice, and the decisions rest with you. There are over 600 alternative cancer treatments, and this page will not be able to list and describe all of them, but I will continue to add new ones as I come across them. My intention for this page is first that it provide hope, and then that it provide resources and starting points for you to do your own research and find a clinic or doctor or health coach to work with. Bechamp was a brilliant scientist and a contemporary of Louis Pasteur. Pasteur tried to take credit for Bechamp’s discovery of the pleomorphic (changing their form) nature of microzymas (bacteria), and when that didn’t work, Pasteur popularized his own competing theory. Pasteur was the better politician, though not the better scientist, and mainstream healthcare is still operating under Pasteur’s germ theory. But Pasteur admitted on his deathbed that he was wrong, and the truth is just now being rediscovered. Bechamp’s Pleomorphic Theory of Disease is explained in detail in layman’s terms in Robert O. Young’s book, Sick and Tired? Reclaim Your Inner Terrain. 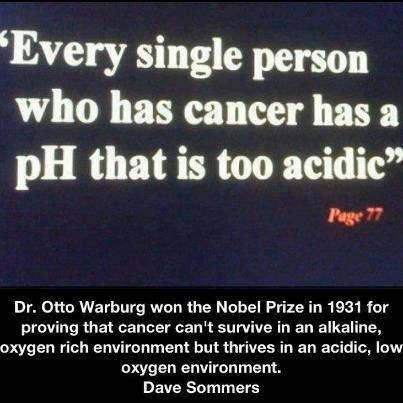 Otto Heinrich Warburg ~ The Prime Cause and Prevention of Cancer ~ Otto Warburg won the Nobel Prize in 1931 for proving that cancer cannot survive in an alkaline environment, oxygen-rich environment. This is consistent with Bechamp’s pleomorphic theory: microzymas change through different forms as the pH degrades towards acidic, finally transforming to cells that can survive in an oxygen-depleted environment. Dr. Virginia Livingston-Wheeler ~ The Conquest of Cancer. “Dr. Virginia Livingston-Wheeler is one of the great unsung scientists of present-day medicine. When her discovery of the ‘cancer microbe‘ becomes…accepted, she will undoubtedly be known as the Pasteur of this century.” ~ Dr. Alan Cantwell Jr. Note: Under Bechamp’s theory, the “cancer microbe” does not cause cancer. Microzymas that belong in our bodies transform into these cancer microbes when our inner environment (pH) is out of balance due to toxicity or nutritional deficiency. When our inner environment is corrected, the cancer microbes will also revert to the form they normally take as part of a healthy symbiotic relationship. Dr. Alan Cantwell Jr. ~ Four Women Against Cancer. The untold story of four outstanding women scientists who discovered the bacterial cause of cancer back in the 1950s and whose research was ignored, overlooked, or actively suppressed by the cancer establishment and the powers that be. Dr. Linus Pauling and Ewan Cameron ~ Cancer and Vitamin C: A Discussion of the Nature, Causes, Prevention, and Treatment of Cancer, with Special Reference to the Value of Vitamin C. Dr. Pauling is a two-time Nobel Prize Winner. This book details a double-blind study on the benefits of Vitamin C in treatment of cancer. You can purchase regular pH paper at a pharmacy or pet store (they have it for monitoring pH in Aquariums). The best way to monitor your pH is to tear off two pieces of pH paper each morning, and spit on one and pee on the other, and chart your daily waking pH readings. 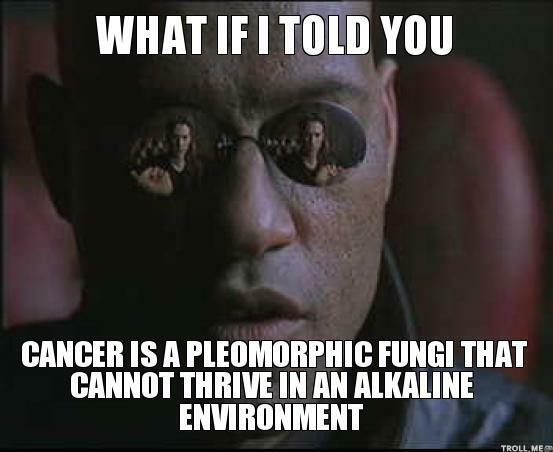 That will tell you if your diet and supplements are working to shift your pH towards an alkaline environment that is inhospitable to cancer. The anti-cancer diet is just as important as the cancer treatment. 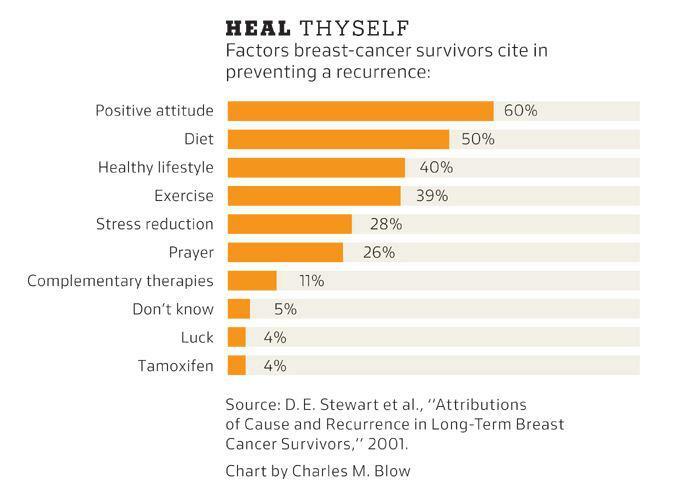 If the cancer diet is not assisting in treating the cancer, then it is interfering with the cancer treatment. One of the main causes of the rise in cancer is the modern diet. Artificial flavors and colors, preservatives, pesticides, aspartame, MSG, hormones, GMOs, and trans-fatty acids all cause cancer. This makes it nearly impossible to choose healthy foods at regular supermarkets or restaurants. And if you are eating meals from fast-food restaurants, those meals are contributing to your cancer, not to your healing. While it is hard to make major dietary changes quickly, it will help to maintain awareness that with each bite, you are choosing to move towards life or death. Choose life. Choose to love yourself. Eat only organic food and drink only filtered water. Sergei and Valya Boutenko ~ Eating Without Heating: Favorite Recipes From Teens Who Love Raw Food. This is the best beginner book on preparing raw foods. If children can do it, you can do it! Hint: almost everything is made in a blender, so a high-powered blender such as a Vitamix, Blendtec, or bar-grade professional blender is recommended. CancerTutor.com lists just a few of the best-known alternative cancer treatments. Treatments are presented in charts for easy comparison. There is a page for low-cost treatments, some of which have phone support available. There is contact information for well-known clinics, and some endorsements and recommendations. There is contact info for someone who has toured most of the clinics and can help you choose the best clinic for you. The Cancer Cure Foundation ~ Founded by G. Edward Griffin. This site has a directory of clinics, list some doctors and other practitioners, links to directories of Naturopathic and Homeopathic doctors, and has an extensive list of alternative treatments by category. Whale ~ Walt Frazier’s website. This is a whale of a site! When I found it, I almost felt like I didn’t need to work on this site because it had already been done. Directory of clinics, links to practitioners, cancer therapies by category and A to Z, list of cancer researchers and pioneers, politics and corruption of the healthcare industry, and much, much more. Lothar Hirneise ~ Chemotherapy Heals Cancer and the World is Flat. Lothar Hirneise is recognized internationally as Europe’s leading specialist in this area. This encyclopedia covers allopathic, alternative, and integrative treatments, with descriptions of over 100 alternative cancer treatments and substances. Burton Goldberg ~ The Definitive Guide to Alternative Cancer Treatments. This reference book discusses over 350 alternative cancer treatments. This book and three additional reports are free gifts when you join the Alternative Cancer Research Institute. Ralph W. Moss ~ Cancer Therapy: The Independent Consumer’s Guide to Non-Toxic Treatment and Prevention. This book describes over 100 therapies, and gives resources, such as suppliers or addresses of clinics. John C. Boik ~ Cancer & Natural Medicine: A Textbook of Basic Science and Clinical Research. This book is the definitive guide to reverting cancer cells into normal cells. It contains a lot of references to research studies. It also mentions a dozen substances that are known (in test tube) to revert cancer cells into normal cells, thus proving it can be done. Donald R. Yance ~ Herbal Medicine, Healing & Cancer: A Comprehensive Program for Prevention and Treatment. Considered by many to be the classic book on herbs and cancer. As of 2013, there are over 600 alternative cancer treatments not sanctioned by the AMA. Many of them cannot be patented because they are based on fruits, vegetables, herbs, spices or other nutrients found in nature. Treatments that cannot be patented do not make very much money, so there is no incentive to run double-blind clinical trials to document their effectiveness. In fact, there is a disincentive, because if any of these natural treatments prove effective, they will cut into the profits of Big Pharma. Therefore, the AMA maintains the position that these treatments are “unproven” and insurance companies will not cover the expense. Fortunately, many of these treatments are quite affordable compared to sanctioned treatments. In many cases, the medical / pharmeceutical cartel spends millions of dollars developing an extract of a natural cancer treatment that can be patented. The patented drug may or may not be more effective than the naturally-occuring substance from which it was derived. At the moment, this listing is in alphabetical order. The Stage III and Stage IV treatments are all alphabetized together with Supplemental treatments, which is not the best way to present all of this, but I am still trying to collect and organize years of research, and will probably reorganize it when more of it has been added to this page. Until then, the category of each treatment is noted in parentheses. Other lists of cancer treatments can be also found on CancerTutor and Whale and the Cancer Cure Foundation websites. Acupuncture treatments can be used along with nearly all primary protocols, and can help maintain energy level, improve immune function, support elimination of dead cancer cells and other toxins, and relieve Herxheimer’s symptoms. For people taking chemotherapy treatment, acupuncture is a very good adjunct treatment for relieving some of the side effects of the chemotherapy treatment. Nearly every major cancer cure protocol includes as a central part of the regimen a diet that is high in green leafy vegetables and other foods that raise the pH, and low in sugars, which lower pH and feed cancer cells. The exceptions are the Johanna Brandt Grape Cure and other protocols (e.g., Baking Soda/Maple Syrup) that take advantage of the fact that cancer cells soak up sugar, and piggyback cancer-killing agents into the cancer cells along with the sugar. This treatment is covered in detail on CancerTutor.com. Dr. Stanislaw Burzynski is the only doctor I am aware of who successfully fought off years of harassment by the Texas State Medical Board and the FDA, and won every court case they brought against him. The FDA had raided his clinic and tried to force him to shut down his business. He eventually forced them to return his patient files, and won the right to conduct clinical trials of his patented antineoplaston treatment. He continues to successfully treat cancer in Texas, but the FDA has imposed strict limits on what categories of patients he can accept into his clinical trials. This treatment works by changing the pH and improving electron flow at the cellular level. The baking soda must come in contact with the tumor, so for some cancers, a baking soda solution can be taken orally; for others, the solution must be injected; and for skin cancers, it can be applied topically. For breast cancer, an incision must be made so that the baking soda solution can be washed over the tumor. Tumors resolve very quickly. This treatment is covered in detail on Whale. This treatment is briefly covered on CancerTutor.com. This protocol is covered in detail on Whale. Cannabis can be used in various forms to treat cancer. Hemp Oil is the most concentrated. Liquid herbal extract is another form. Juicing raw cannabis leaves creates a form that contains living enzymes and phytonutrients as well as antioxidants and other naturally occurring compounds. Cannabis helps chemotherapy patients better tolerate pain and nausea resulting from that treatment. Dr. William Courtney has been studying the effects of various strains of raw cannabis and found one that has 20% CBD. He stresses that in its raw form, cannabis has no psychoactive properties, and is immune-modulating, anti-tumoral, anti-cancer, antioxidant, anti-inflammatory, anti-diabetic, anti-ischemic, pain-relieving, anti-spasmodic, anti-anxiety, and much more. He feels raw cannabis should be considered a food vegetable because its complex phytonutrients, not found in such concentrations in any other green leafy vegetable, are dietary essentials, putting raw cannabis into the category of superfoods, alongside algae, spirulina and chlorella. He is working to get cannabis removed from the 1961 United Nations Treaty on Narcotic Drugs. Colon cleansing can be done several ways. It is critical to start with colon cleansing before trying to do a liver cleanse or kidney cleanse. It is critical that any herbs or coffee used as part of a cleansing and detoxing protocol be organic. Dr. Lorraine Day tells her story and describes her protocol. DCA is an odourless, colourless, inexpensive, relatively non-toxic, small molecule. And researchers at the University of Alberta believe it may soon be used as an effective treatment for many forms of cancer. It has already been found to kill lung, brain, and breast cancer cells. However, because the compound is not patented, you may never see it on the market as Drug companies can not profit from it. Infrared heat raises your core body temperature. This treatment is covered in detail on CancerTutor.com. This treatment must be done at a clinic. This treatment was developed by Rick Simpson. Honokiol has been found to work synergistically with many types of chemotherapy. It crosses the blood-brain barrier. This treatment works well in combination with heat therapy and high-dose Vitamin C. It has an anti-metastatic effect. This treatment is briefly covered on Whale. This treatment is generally used for strokes and brain damage, but has been used by some clinics for treating cancer. For more information contact the American College of Hyperbaric Medicine in Florida at (305) 771-4000. This treatment is covered in detail on CancerTutor.com. This treatment “opens the door” to targeted chemotherapy. This treatment is generally done at a clinic. Dr. Bob DeMaria ~ Cancer and Iodine Levels ~ Also, vitamin D, acid/alkaline balance, hormone deregulating toxins. Inhibition of metastasis, tumor size reduction and necrosis of induced tumors in rodents. Improved survival with patients suffering from breast and colorectal cancer. Improved quality of life in patients with cancer tumors including improved mood, endurance, appetite, tolerance of chemotherapy, sleep and decreased fatigue and pain. Mistletoe lectins have been shown to induce apoptosis (cancer cell death). Studies indicate that mistletoe lectins may specifically target some forms of cancer and leave “normal” cells alone. This may be an advantage over chemotherapy which targets any cell, healthy or cancerous, which turns over rapidly. Enhancement of immune system including activation of T-helper cells, natural killer cells and other components of the immune system which may target and destroy cancerous cells. Alleviation of some side-effects of chemotherapy and radiation. This treatment is described in detail on CancerTutor.com. Dr. Nicholas Gonzalez describes Beard’s theory of Cancer and Pancreatic Enzymes. Dr. Nicholas Gonzalez describes using Enzymes as a Cancer Treatment. This treatment blends Baking Soda and Maple Syrup. Most “Maple Syrup” sold in grocery stores has little or no real Maple Syrup, so you will have to hunt around to find real, pure Maple Syrup. Get the darkest you can find. This works by feeding the Maple Syrup to the cancer cells and sneaking the Baking Soda in along with it. So your diet cannot include any other sugars, or any breads, grains, or starchy vegetables that break down to sugars. This treatment is covered briefly on CancerTutor.com. This FDA-approved medication is effective for most types of cancer. It works by supercharging your immune system while you sleep each night. It needs to be made to order for you at a compounding pharmacy. If you are allergic to dairy, ask them to use Avocell as the filler. Calcium carbonate must not be used as the filler, as it will create a “timed release” effect, which defeats the purpose. Here is an animation of how LDN works. This treatment is covered on Whale. There is a brief overview of this treatment on CancerTutor.com. This treatment has an anti-metastatic effect and works synergistically with Honokiol. Can Maitake (mushrooms) MD-Fraction Aid Cancer Patients? This treatment is briefly covered on CancerTutor.com. This treatment is generally done at a clinic. Dr. Schulze formerly treated and cured patients at his clinic, and he was curing cancer, heart disease, and many other conditions. The FDA raided his clinic, so now he does not see patients directly, but publishes educational books and videos, gives lectures, and sells his herbal formulas through his American Botanical Pharmacy and online. See Tony Isaacs Oleander Protocol. This treatment is generally done at a clinic. These treatments are covered in detail on CancerTutor.com. These treatments are covered in detail on Whale. Triptolide (‘Thunder god vine’) inhibits colon-rectal cancer cells proliferation by induction of G1 phase arrest through upregulation of p21. Turmeric is fat-soluble and must be mixed with an oil to optimize bio-availability. The healthiest oils are Flax oil, Olive oil, and Coconut oil. Black Pepper, or Piperine Niger, also helps with absorption. This treatment is covered in detail on CancerTutor.com. This treatment is generally done at a clinic. Recommendation from Bill Henderson: If you want the best natural cancer treatment in the U.S., I suggest you explore Dr. Carlos Garcia’s Utopia Wellness Clinic in Oldsmar, Florida (near Tampa). Dr. Garcia is a formally trained M.D. who has broken out of that mold and educated himself on natural healing methods for cancer. At Utopia, he has healed lots of Stage IV cancer patients, and, of course, many more people with easier cancers to heal. He and I agree on just about everything as to what causes cancer and how to get it under control. Dr. Garcia offers a free consultation on the phone before you decide to try his clinic. You can call (727) 799-9060 to set this up. It is an out-patient clinic where you spend several hours each weekday at the clinic. I have known many of his patients. You’ll see lots of their testimonials at his http://www.UtopiaWellness.com website. Doing a search on any of these people should lead you in a good direction. Scroll down to the second section on this page for a list of Doctors and Researchers. Who Benefits From Cannabis Prohibition? If you feel appreciation or gratitude for anything you have found here, please donate any amount, large or small, as an expression of your support for my work. The web hosting expenses are just a few dollars per month. The time and energy I put in is priceless ~ hours, days, and months of my life. I gratefully receive all expressions of gratitude and appreciation offered in exchange for value. Thank you!!! All things in all times in all places are one thing. That one thing is LOVE.